Editor’s Note: This is the third instalment in a series of interviews with former scholars of religion who have, for one or another reason, decided to leave the world of academia. In this series we hope to open up a conversation that can be of use to other scholars (of religion and in general) in pointing toward some of the pitfalls and alternative paths to life in the ivory tower, as well as to reflect upon on-going struggles to preserve and improve the humanities and social sciences. 1. Could you discuss your academic training and what ultimately led to your decision to leave the world of academia? After BA and MA degrees in Religious Studies (from Bucknell University and Syracuse, respectively) and a stint in the Peace Corp sandwiched in between the BA and MA, I headed to the University of Florida (UF). I was a doctoral student in the first cohort of students at UF’s Graduate Program on Religion and Nature. This is a unique program that bridges the broad discipline of religious studies with elements of what might normally fall under “environmental studies” – environmental history, environmental ethics, environmental sociology, policy, conservation biology, and more. While a religious studies program at its core, the program also fostered interdisciplinary work outside of the discipline. My dissertation was less about religion, or religious traditions, in particular, than it was about the role of religious, cultural, experiential values in environmental ethics, policy and conservation practice. I was interested in motivations for conservation behavior, particularly in grassroots efforts to conserve and restore native trout populations. While I rarely talked about religious traditions per se, I found that the theoretical underpinnings of religious studies helped me sort through what I saw in collaborative campaigns and coalitions working to protect coldwater fisheries, especially trout and salmon. In some amalgamation, I as am influenced as much by the writings of Aldo Leopold as I am Russell McCutcheon. I left academia partly due to lack of opportunity and I moved into my current line of work by the presence of opportunity. 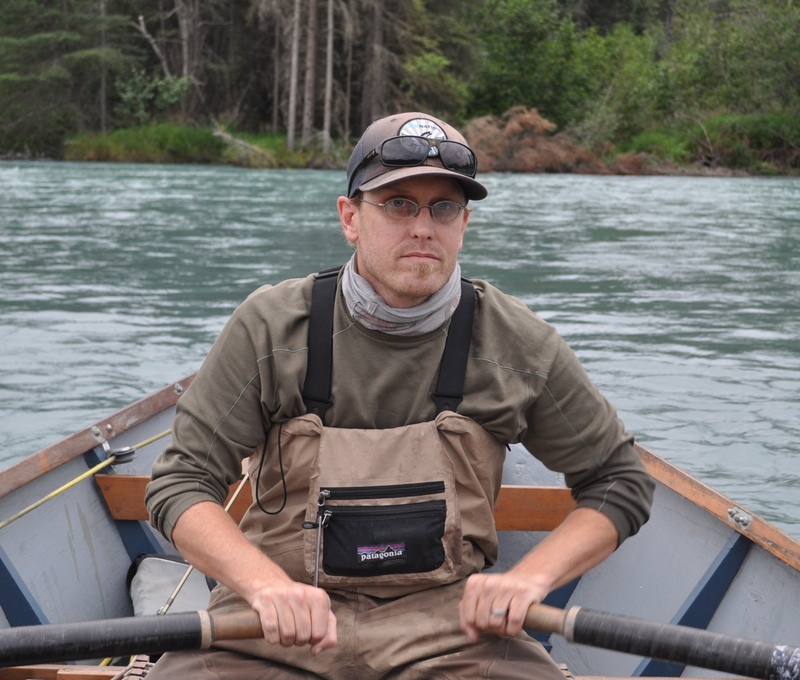 I moved to Alaska for my wife’s job, as a professor at University of Alaska Anchorage. When it was clear that an academic position for me was far from likely, I leveraged my experiences and research to move from studying conservation to working in conservation. For the past five years I have worked to coordinate multi-group campaigns to protect crucial salmon ecosystems and the communities, economies, and cultures tied to them. Notably, I have spent the last 4 years working in the heart of a campaign to protect the world’s largest sockeye salmon fishery, Bristol Bay, AK, from a proposal to build North America’s largest open-pit copper and gold mine, which is proposed for Bristol Bay’s headwaters. Recently, however, I have switched from one campaign to another, from one mega-project to another, where I now direct a campaign to prevent the construction of a mega-dam/hydro project on one of the largest rivers of the United States (the Susitna river) – also a critical salmon river system. 2. Do you have any thoughts on how structural changes may have impacted your decision to leave? Specifically, how do you think on-going cutbacks, especially in the wake of the 2008 economic crisis, have contributed to this state of affairs? Oh, I have no doubt that such structural changes impacted the availability of teaching positions and thereby my decision, if you can call it that, to leave. I saw these trends taking place at University of Florida while I was there, so much so I was compelled to organize for the graduate student union. Religious studies and the humanities were constantly on the chopping block. Attending a unique, niche program like Florida’s Program on Religion and Nature was in many ways a blessing and a curse. The niche nature of the program created a reality where jobs were often more difficult to come by for someone with such a unique research focus like me or others in my cohort. This was especially true in smaller religious studies programs still build around on older, more traditional paradigms of the discipline. I didn’t study religious traditions specifically, but found I moved most fluidly in the theoretical spaces provided by some dimension of the discipline. I was an odd duck for a religious studies program to wrap their head around. I didn’t really fit in religious studies anymore, but I didn’t quite yet fit in environmental studies programs either. That said the blessing came from also being able to converse broadly in other areas of conservation – ethics, science, and policy. All of that was the direct result of a program and faculty that encouraged that range of research. 3. Can you speak to how you were able to transfer your skills to a different area outside of academia? I think at the top level much of it is intangible; very much relative to the critical thinking skills, analytic ability, and cross cultural/community understanding, etc. that we often associated with the liberal arts and humanities. All of which we abstractly defend when ranting, in classrooms and on Facebook, about the demise of or lack of support for the humanities and liberal arts. Graduate degrees of any kind force self-motivation, time management, research and organizational skills and all that jazz. Teaching – as a TA, lecturer, and adjunct – enabled communication skills essential for being a good campaign/coalition leader. I always felt most at home in the classroom, teaching, wrestling with ideas with students. Yet, effective communication is a skill surprisingly lacking in many leaders of the conservation community. Scientist and various experts often struggle to communicate complex issues to diverse audiences. Teaching, with attention to affective communication, certainly should help us find ways to translate and communicate complex ideas in a variety of contexts. Unfortunately, I think that quality is also lacking in many teachers, lecturers, and professors. I also worked as a union organizer at UF. Three of years of community organizing developed a useful skill set for working in the conservation community, where grassroots organizing is at the heart of all our work. Finally, as I noted, my graduate program helped me to find ways in which I could move fluidly across disciplines from the humanities to the social sciences, to the natural sciences. That has served me well in a diverse campaign or two where I work as much with Alaska Native communities as I do fisheries ecologists or business owners; elected officials or government agencies like the Environmental Protection Agency. 4. What challenges and/or solutions do you see for graduate programs addressing problems with employment that many Masters and PhD students face? Do you see any alternative avenues opening up for scholars trained in the study of religions in particular? The challenges seem many, most of which are clearly tied to the available resources allocated to programs in religious studies, as well as environmental studies. You don’t need me to recap the overemphasis and support for programs engaged in “fundable” research, where products are produced and job training is provided. All of this compared to lack of support for programs that teach historical literacy, social ethics, cultural understanding, and most importantly critical thought. I am not too sure I can articulate a solution. Too often concepts like “interdisciplinary” are bandied about as though they are saviors to academia. I don’t buy that, though. On the one hand, these are buzz concepts, as problematic as sustainability – amorphous, catchy, no real substance. On the other hand, like sustainability, there are too many institutional brick walls, built in, seemingly designed to prevent truly interdisciplinary work. This reality is especially true for graduate students who are even moderately attentive to academic job trends, thereby seeking a degree or a dissertation that fits into categories defined by those trends. For some odd reason, I seemed less concerned with those trends. Or maybe, I thought that things were evolving for the better as evidenced by a new graduate program on religion and nature. In hindsight, I think the demand for those degrees was oversold, overhyped, or perhaps overestimated. I also had professors who strongly encouraged going out on a limb, broadening my research base, doing archival research along side fieldwork with fish ecologists, while wrestling with critical theory. That work often took me out of academia and into spaces where I wound up getting a job. I am not sure, though, that many grad programs in religious studies would encourage this of their students. If I am right, I think it’s a shame. Jobs are fewer and fewer, that doesn’t mean that degrees in this odd field we call religious studies are worth less and less, we just need to be creative about where we focus our attention. I can see opportunities in conservation, policy, journalism, and more. In the end, though, I kind of feel like I got lucky where I landed. I could still be bartending. In hindsight, the path makes sense in my mind. Explaining it to others is never easy though! This entry was posted in Guest Contributor, Interviews, Life After Religious Studies, Religion and Society, Uncategorized and tagged AK, Aldo Leopold, Bristol Bay, Environmental Protection Agency, Russell McCutcheon, University of Alaska Anchorage, University of Florida. Bookmark the permalink.